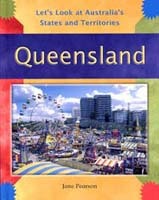 Queensland is Australia's second largest state. It covers nearly a quarter of the area of Australia. Brisbane is the capital city of Queensland. It is on the banks of the Brisbane River, near the coast.